Those last weeks of September just flew by, and I was kept busy by the remaining workouts of the Manila Throwdown, trying out Mystery Manila for the first time, and spending time with family and friends. Some of my best friends’ birthdays are in September, as well as my dad’s. For my dad’s birthday, we hosted a small dinner at home for his high school buddies. Mom, Yaya V, Yaya Rose, and I started cooking as soon as I woke up. On the menu, we had steak, eggplant parmigiana, sardine puttanesca, sweet and sour butterflied tilapia, and mom and I experimented on deep fried apple pies. I was so excited for dessert that night, and was happy to hear that Macy enjoyed it! It went really well with this Silverlake Riesling that my mom brought home from Washington. My friend, Anna, had been so busy with her multiple jobs, that her husband wanted to get us involved in planning an early birthday surprise for her. Her post below sums up how it went, and seeing how happy that made her was more than I could ask for. I HAVE THE BEST HUSBAND AND FRIENDS EVER!!! 😭💕🎉😍 Was feeling bummed that I wouldn’t be able to watch the Maroon 5 concert because of work, but then I come home to this amazing surprise that Chris planned with my best friends! I was in tears!!! IT WAS AWESOME AND CRAZY AND BEAUTIFUL AND JUST SUPER SUPER LOVE!!! BEST EARLY BIRTHDAY SURPRISE EVER!! I have the sweetest husband and friends ever. I love you guys so much ❤️ Thank you Chris, my girlies, Ryan, Chuck and Marty for the memorable night! Thank you for capturing the whole thing on video, Marty! Watch the full video and read the full story on my Facebook. I mean, just if you want to. Hahaha! The complete video is super sweet!! 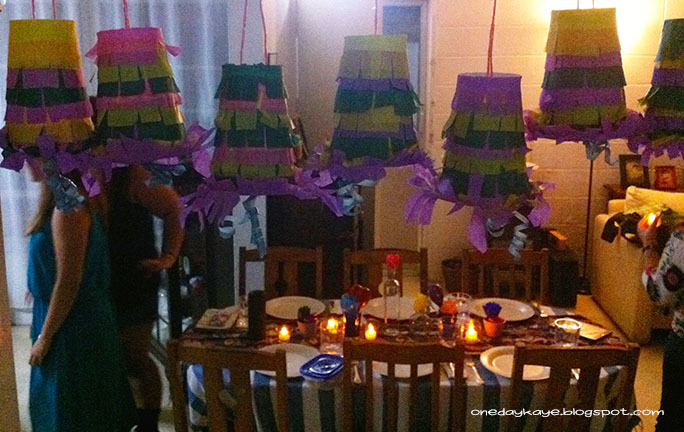 On her actually birthday salubong, she wanted to host a Mexican night. 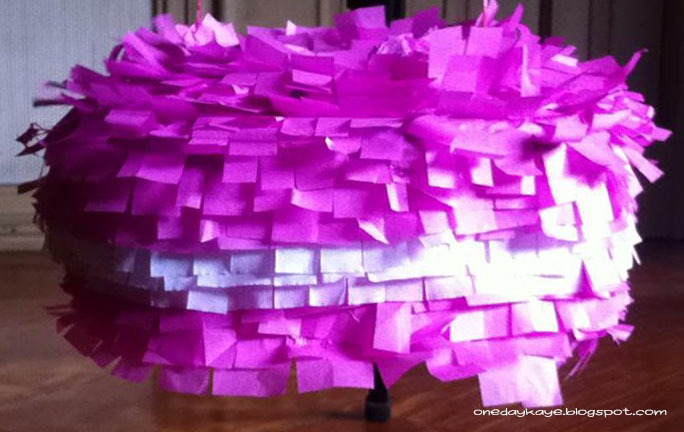 Chris, her husband, said that Anna had wanted a piñata, and was wondering where he could get an inexpensive one. I volunteered to attempt one,… and got a little ambitious with a macaron peg for Mrs. Graham. Mini-piñatas for each of my Girlies, represented by their favorite colors. Strung on a doorway, with Anna’s Mexican table setting in the background. 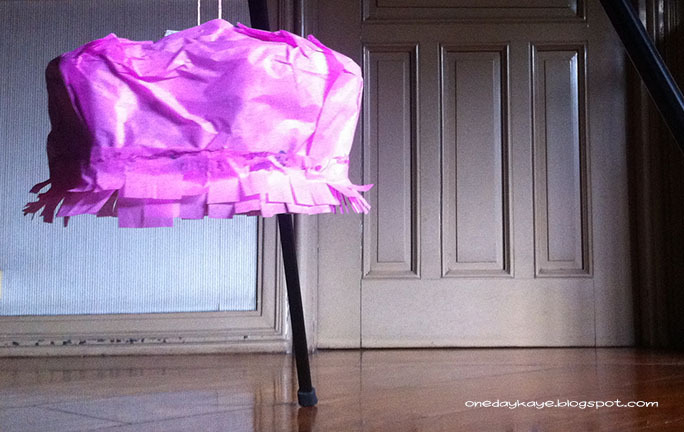 I made the mini-piñatas with cups, based off a sample I saw on this Brit + Co article. As for the macaron, I had to wing it! If you want to see how I did it, keep reading below, and I uploaded photos, too. Unfortunately, I might’ve made them too sturdily (for fear of it not holding up) that when we started hitting and pulling them respectively, they didn’t break! Overall, it was all such good fun, with very little help from the spiked punch and Bacardi. Anna served chili con carne, quesadillas, tacos, this new Jalapeño-flavored Nova (I love Nova!) with Anapet’s salsa. So grateful for these friends of mine. 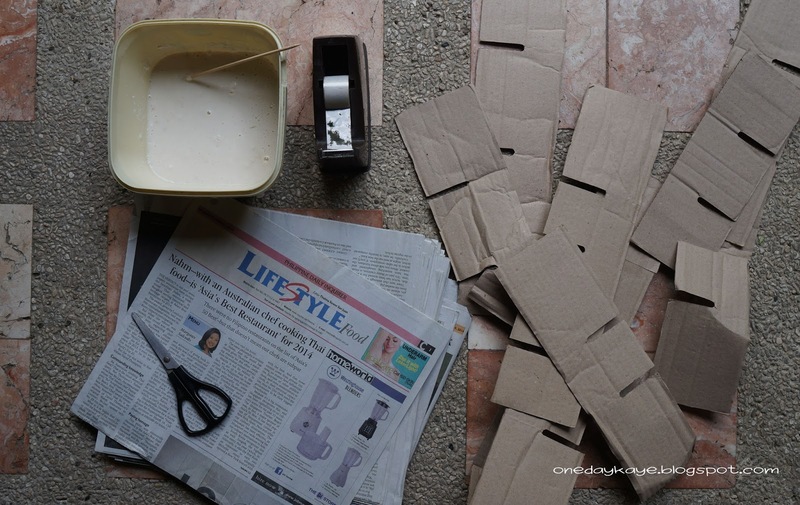 Materials: old newspapers, scissors, tape, cardboard. I made a paste by mixing 1 cup flour, 1 cup water, and a pinch of salt and cornstarch. 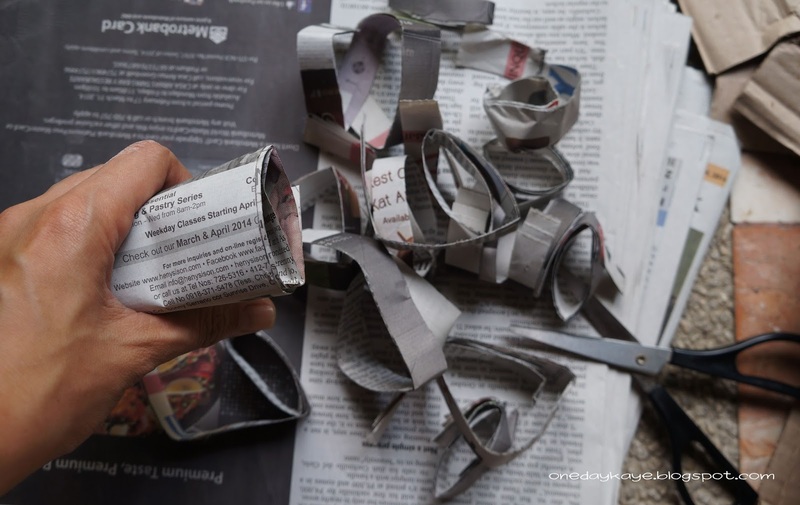 Easily cut up strips of old newspaper by rolling them up first. 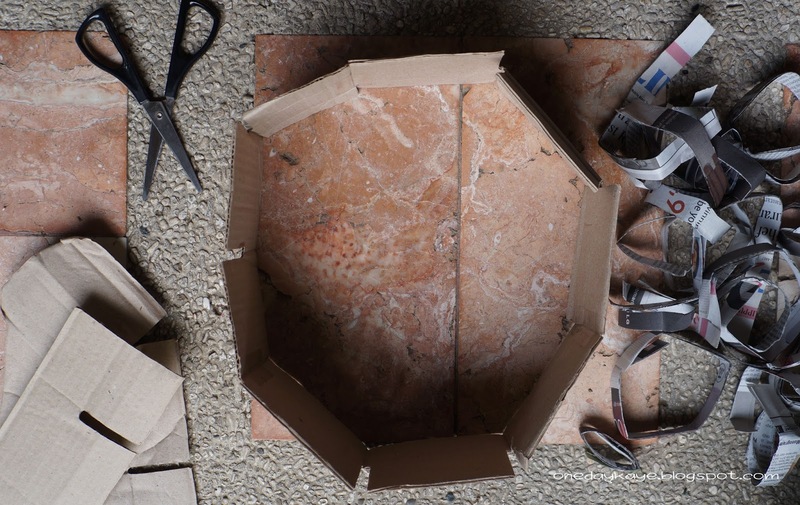 I taped up the cardboard to form a circle. 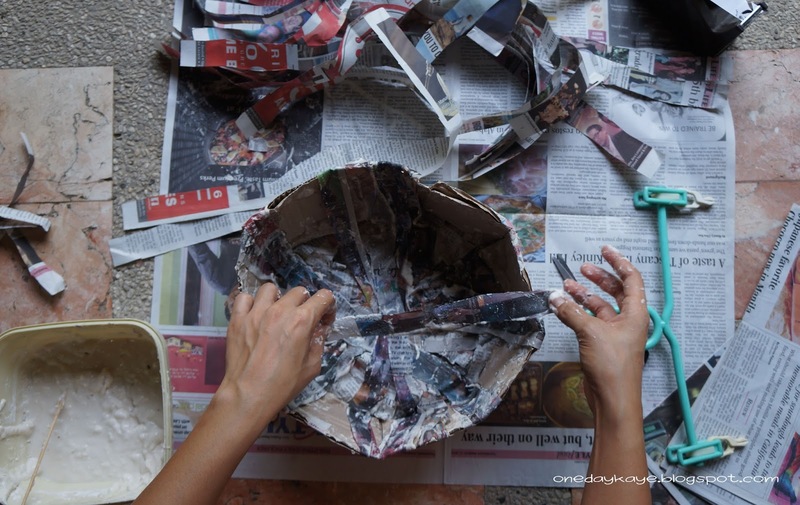 Once completely dry, I wrapped it in Japanese paper, then hung it on a tripod. I cut up strips of coloured paper and stuck them by layers.